This “on_sent_ok” code has been deprecated and will no longer work. The plugin will add a tab to your Contact Form 7 menu that will allow you to choose a page on your website to redirect visitors after successfully filling out your form. The benefit to using this plugin is that you can setup a different “Thank You” page for each form on your website. Does this effect my website? 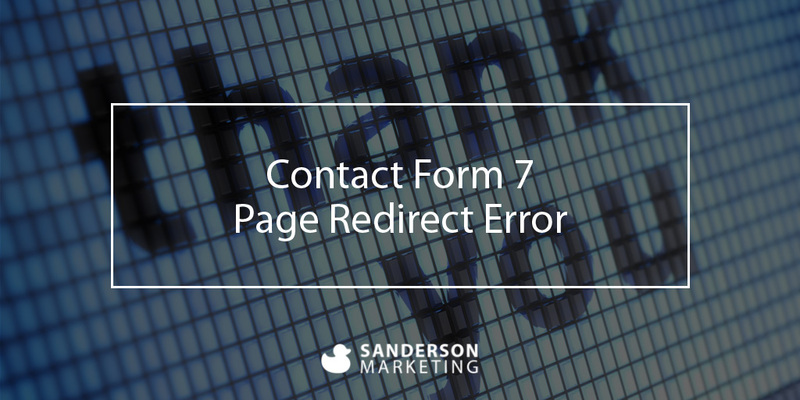 This redirection setting is not used on all websites that have Contact Form 7. By default, the plugin will display a “Your message was sent successfully” green box after a submission. If you are not sure whether your form needs to be updated, try submitting a test message. If you see a green success message and you receive the email, you do not need to make any changes. If you submit the message and see an error page, I can help you make the necessary updates to fix the problem. It’s always a good idea to test your contact forms occasionally to make sure they are working!